Fancy a Beaufort Burger, or Eggs Benedict for Sunday brunch, but don’t fancy leaving the comfort of your own sofa? 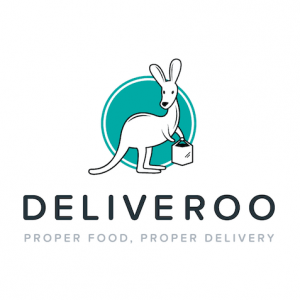 Well fear not, Deliveroo now lets you order amazing food from your best loved local restaurant, Beaufort House, to your home or office in Chelsea. They have a fantastic team of drivers who take pride in getting your food from us to you as quickly as roo-ly possible. They call them the Roowomen and Roomen! So how do you order your favourite dishes from your favourite local restaurant to be delivered to you quickly? Well it’s really quite straightforward. Simply enter your postcode on the Deliveroo’s homepage deliveroo.co.uk, and they’ll show you if they can deliver Beaufort House food to you. If they do, just click on Beaufort House, put together your order, enter your address and payment details, and that’s it – they’ll get our delicious food straight to you as soon as possible. Once you place an order, one of their capable Roowomen and Roomen will head to us to pick up your freshly cooked meal, and with a hop, skip and a jump they will then deliver your order to you! Deliveroo will deliver every day from noon to 23:00.